had a report from I guy I met on the beach tonight that there is ele’s on the Marlborough east coast. Finally managing to get out for a fish and last night caught my first rig for the season about 6.5kgs. And then took my oldest boy (3 and a half years) out fishing today, he kept catching crabs on his line they would hold on till the surface and then let go, but its ok cos daddy caught some in his net!!! You know your fish,yip you’d probably be right with that estimate although she was heavy in pup so felt a little heavier than looked. Here’s this mornings effort, after a fishing drought its been good catching a few goodies. 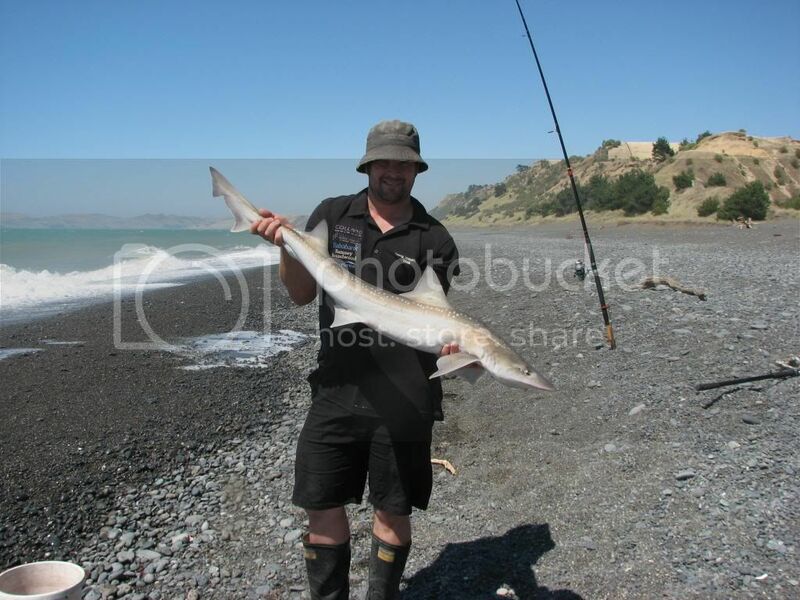 You may have heard mili, there is a spot between seaview beach and the Awatere river mouth, around midway that apparently used to produce grouper from the beach based on reports of the old locals out seddon way.